Activated Carbon has been used for many years in loose form to remove color and odor from liquids. In certain applications the loose carbon can be replaced with activated carbon filter sheets. Activated carbon is highly porous over a broad range of pore sizes, from cracks and crevices to molecular dimensions. It is this porosity that provides activated carbon’s unique adsorptive properties. 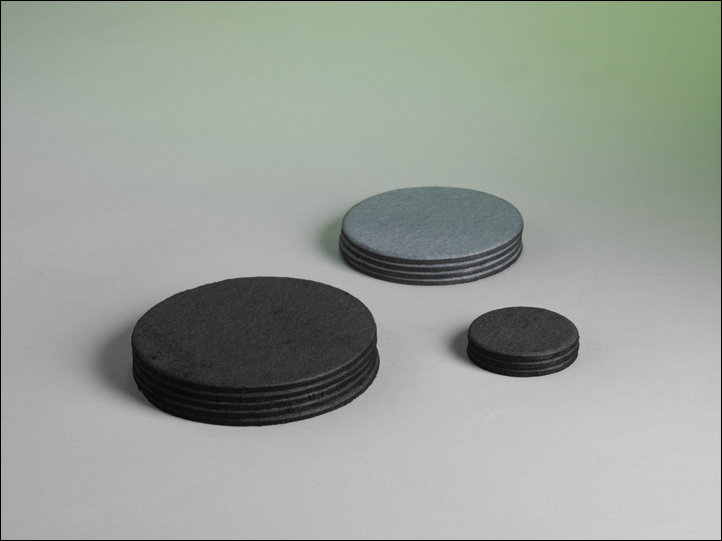 Generally, activated carbon filter sheets contain surface areas in the range of 500-2000 m²/gm. “Activation” refers to the development of the adsorption properties of carbon. Adsorption occurs when the organic molecules bond to the internal pores of the activated carbon filter sheets. This happens in pores slightly larger than the molecules being adsorbed, which makes it extremely important to match the molecule being adsorbed to the pore size of the activated carbon. Careful blending of filter aids and cellulose fibers with activated carbon yields sub-micronic filtration and adsorptive treatments concurrently. ErtelAlsop manufactures activated carbon-impregnated filter media in a range of removal ratings and configurations to fit most filter presses and lenticular cartridge formats. This provides standardization of carbon treatment in addition to simplicity and ease of handling and operation. Different grades of carbon can be used in the manufacture of MicroClear® activated carbon filter sheets to provide specific adsorptive qualities. Specialty carbons can also be used in the Micro-Clear® formulations. Contact ErtelAlsop or your local authorized representative to discuss your needs.